Output 0 to 5V, 5A max. Sensors PT100, LM35, thermistor etc. 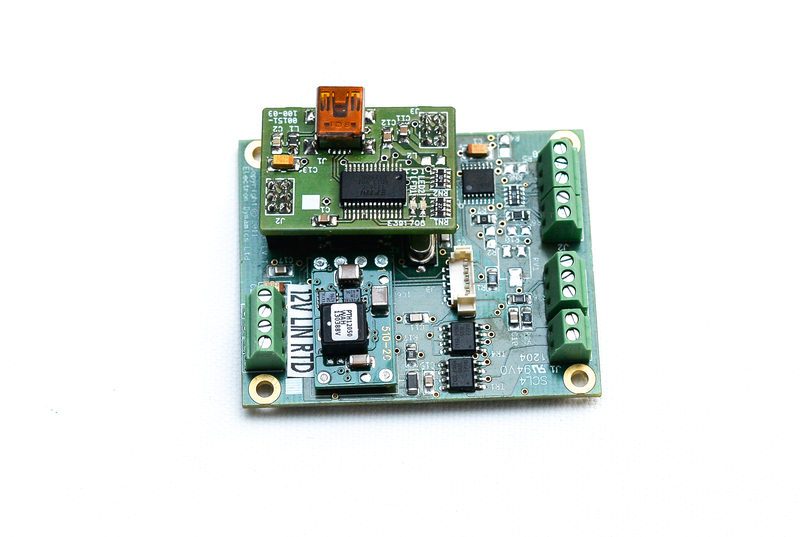 Our TC-LV Temperature Controller PCB provides full featured temperature control for low voltage TECs. 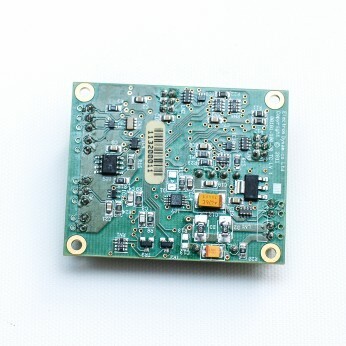 Suitable to drive TECs at up to 5v at 5A, the unit has a low noise DC output and can operate standalone once programmed or be controlled from a PC. 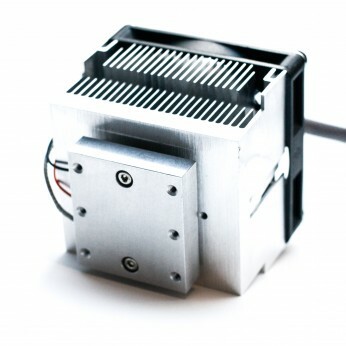 Designed so that it can either be separately equipment mounted or PCB mounted, it can be used for OEM applications. Depending on the thermodynamics of the temperature assembly, it is possible to provide temperature stability better than 0.001ºC. Typically the set-point temperature range is from –100ºC to 100ºC. 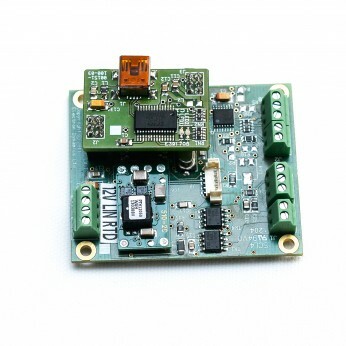 The modules can be configured from a PC with the Temperature Controller Interface – GUI which makes use of a communications adaptor that plugs into the top of the PCB. The configuration data is stored internally in the controller so once programmed it can be used in standalone operation. Various adaptors are available allowing connection/operation over USB, RS232, RS485 or Ethernet. Parameters that can be programmed are output limit voltages, operating temperature limits, set-point, PID terms, and auto-tuning. These are programmable from a PC using the supplied software, allowing configuration and tuning to meet system requirements. The sensor measurement is high precision and units configured for various sensor types are available. 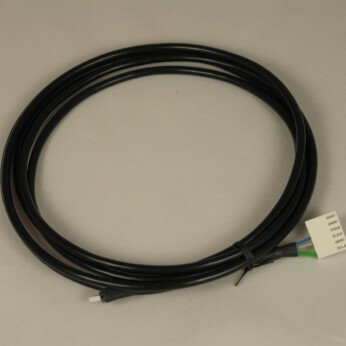 RTD PT100, PT1000, Thermistor, LM35, AD590, LM335 etc. 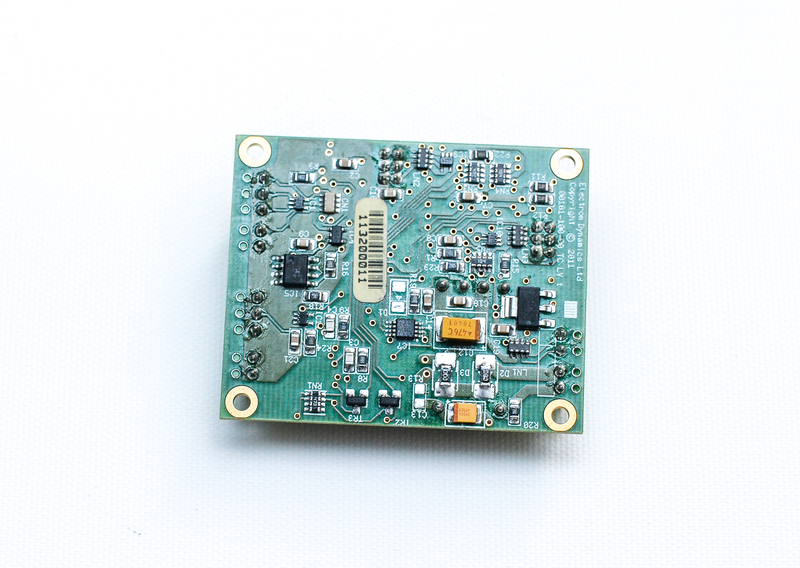 Typical uses for the controller would be with laser diodes and module temperature control, infrared detection and device test / measurement. The interface and command set allow the unit to be controlled. This allows dynamics changes to be made as required. For larger ordering or bespoke requirements please contact us.